Witness the fate of beloved heroes and notorious foes in the heart-stopping conclusion to V.E. Schwab’s New York Times bestselling Shades of Magic trilogy. In the wake of tragedy, Kell—once assumed to be the last surviving Antari—begins to waver under the pressure of competing loyalties. 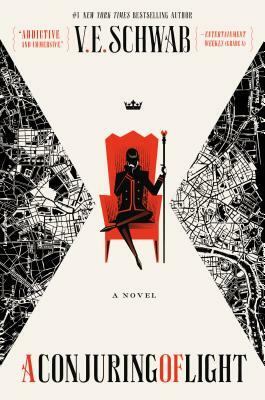 Lila Bard, once a commonplace—but never common—thief, has survived and flourished through a series of magical trials. But now she must learn to control the magic, before it bleeds her dry.